The community of Enugwu-Agidi in Njikoka Local Government Council Area in Anambra State, under His Royal Majesty, Igwe Michael Chidozie Okeke-Uche the Okpalariam III of Enugwu-Agidi, has announced its forthcoming first Ofala Festival coming up on December 31st, 2018. Speaking on the event, the Chairman of the planning committee, Dr Osy Anameze, KSM, JP, Onowu (Traditional Prime Minister) Enugwu-Agidi said in a statement that the festival which would be the first of it’s kind for the present Igwe, was scheduled to take place at the palace of Okpalariam III of Enugwu-Agidi by 12noon. The chairman said that His Royal Majesty, Igwe Michael Chidozie Okeke-Uche, Okpalariam III and Her Royal Majesty, Ocheze , Dr, Chinwe Okeke-Uche would be the Chief host. 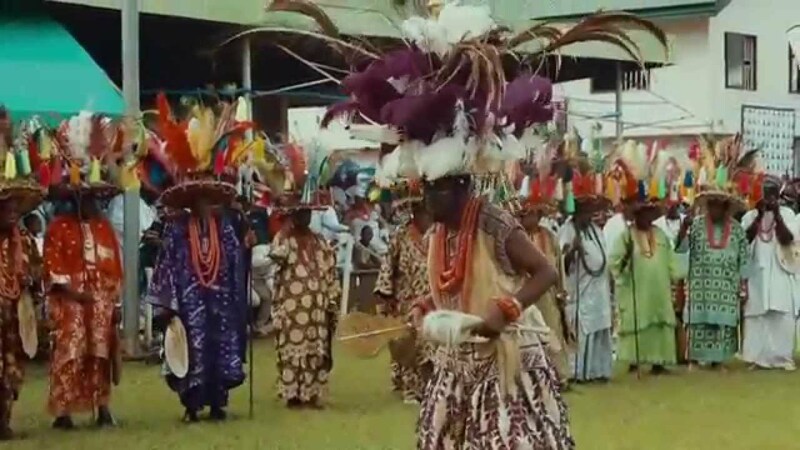 The Onowu said that the Ofala Festival, aside celebrating the coronation of the Igwe’s enthronement, also provides opportunity for decisions and activities geared towards developing the community. It helps in bringing back indigenes from far and near to be active participants in these matters that would bring the much needed developments to the community. He said that the committee has also set aside various programmes such as youth empowerment, widows special empowerment and provisions for the less privileged. The chairman said that the old, the young, the less-privileged, indigent students, widows and widowers always look forward to the Ofala festival because it is an opportunity to have their lives specially touched by philanthropists and many generous members of the community.